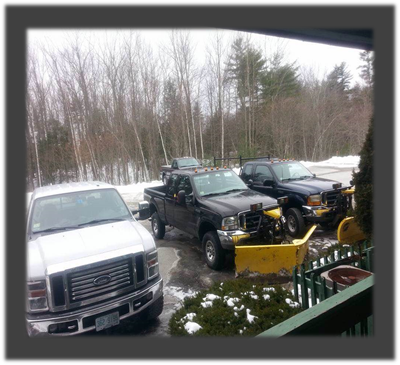 Back to back winter snow storms in the Epping NH area force Pike's Plowing to work overtime in order to clear all of their client's driveways and parking lots. Each of the two storms required double service, once after about 6-7 inches and again once the storm was over. The high snow banks need special attention as they start to creep into the driving areas, so they are pushed back farther than normal. Typically, snowbanks start to melt down over a week or two, but back to back storms create higher banks and less space to work with. 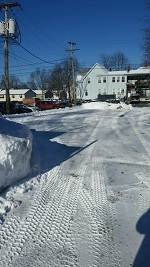 I have a contract to plow the entire parking lot of City Storage in Raymond NH. This project requires attention to detail because each storage unit needs to be accessed without any snow or ice in the way. There is also the liability of customers slipping on icy areas so I need to make sure I sand and salt the entire lot as well. Finally, I'm careful of customers that are currently in their storage units because their cars are parked in front and they could also be walking around their cars with any type of random objects. It's important to Robert and his crew at Pike's Plowing to think of safety, quality and efficiency before he concerns himself and his crew with getting the job done quickly. Plowing snow is dangerous due to low visibility, heavy machinery, slippery roads and driveways, unknown curbs and debris, and of course, children playing outside. Over the years Robert has developed some checks and balances that help him get the job done in a safe way every time. 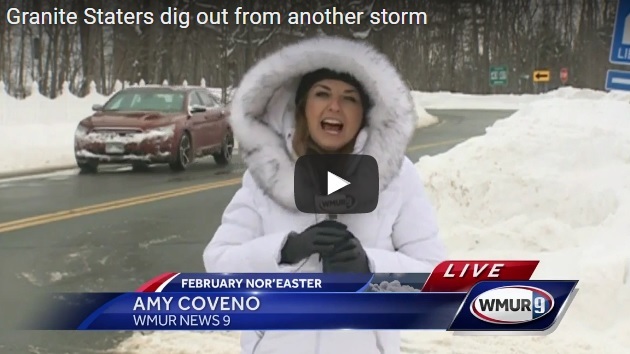 New Snow Plowing Website Raymond NH! My brother-in-law, Chris Bell, just built this plowing website for me so that I could grow my snow plowing business. 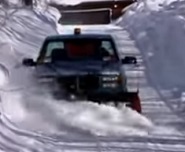 I've always had a big truck, and ever since I put a plow on it to clean my driveway, people have been asking me to plow theirs as well. I turned it into a business a few years ago and I've been building my client list ever since. This website will help take it to the next level for me.